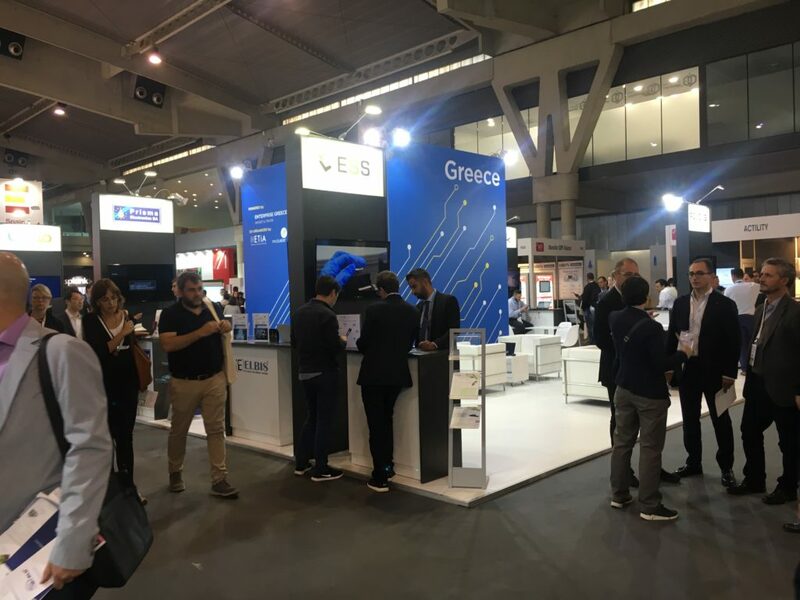 The Hellenic Emerging Technologies Industry Association with mi-Cluster and the support of Enterprise Greece, organized the participation of Greek companies in the national Pavilion at IoT Solutions World Congress in Barcelona, 16-18 October 2018. 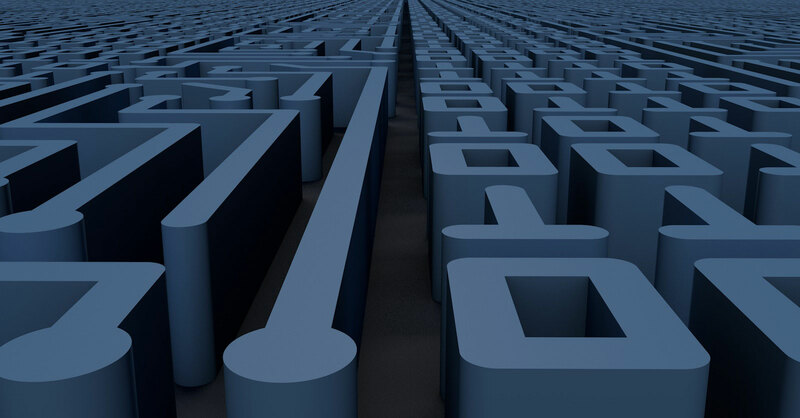 The IOT Solutions World Congress is one of the top events in the Internet of Things industries world-wide. 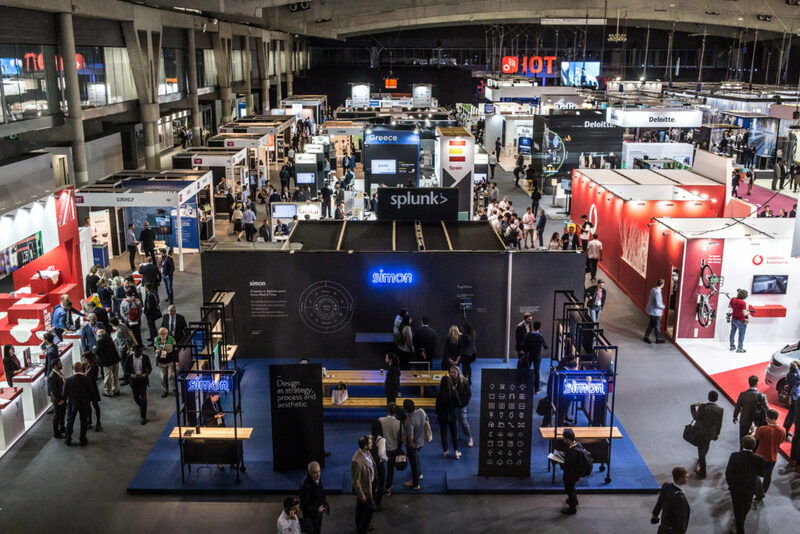 This year’s event was attended by leading companies in the industry such as: ABB, Deloitte, Google, Huawei, Intel, Microsoft, Telit, Vodafone, Wipro, etc., as well as countries with a national stand (such as Sweden, Austria, Romania and Spain) in one of the leading events for the Internet of Things. The exhibition hosted over 16,250 visitors from 12 countries, 341 exhibitors and 316 speeches on the future of this strongly growing industry. 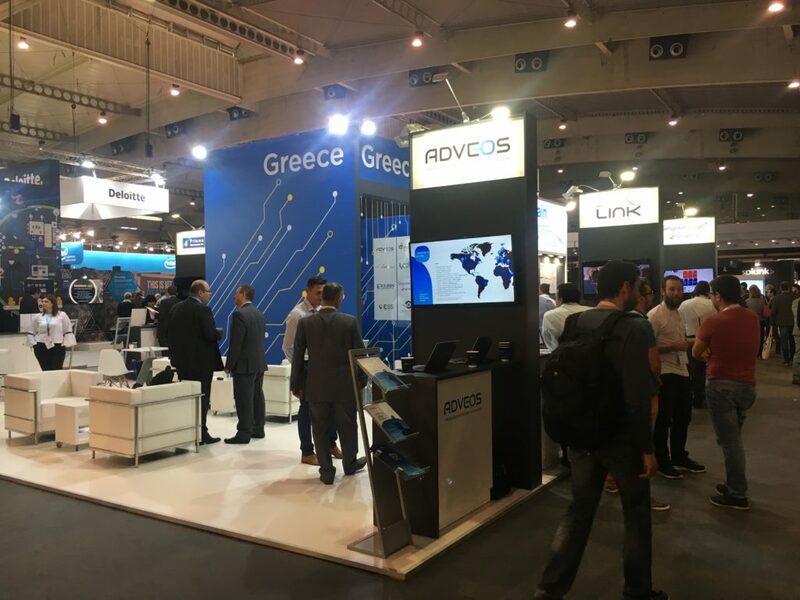 In the Greek Pavilion the participating companies were: ACROMOVE, ADVEOS, CENTAUR, ELBIS, ESS, IRIDA LABS, LINK TECHNOLOGIES, MEAZON, NEUROPUBLIC, PRISMA ELECTRONICS, SENSE ONE (SingularLogic), YODIWO and presented their innovative high-tech solutions various IoT applications. 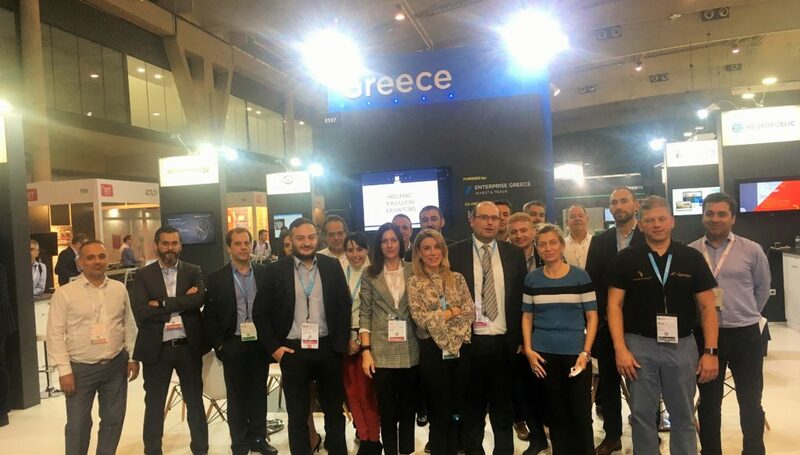 During the event, the Head of the Office for Economic & Commercial Affair at Embassy of Greece in Spain Mrs. Alia Papanastasiou, visited the Greek Pavilion and met the representatives of the participating companies and got informed for their high-tech solutions and future plans in Spain. Our great team of exhibitors joined by the Head of the Office for Economic & Commercial Affair at Embassy of Greece in Spain, Mrs. Alia Papanastasiou. 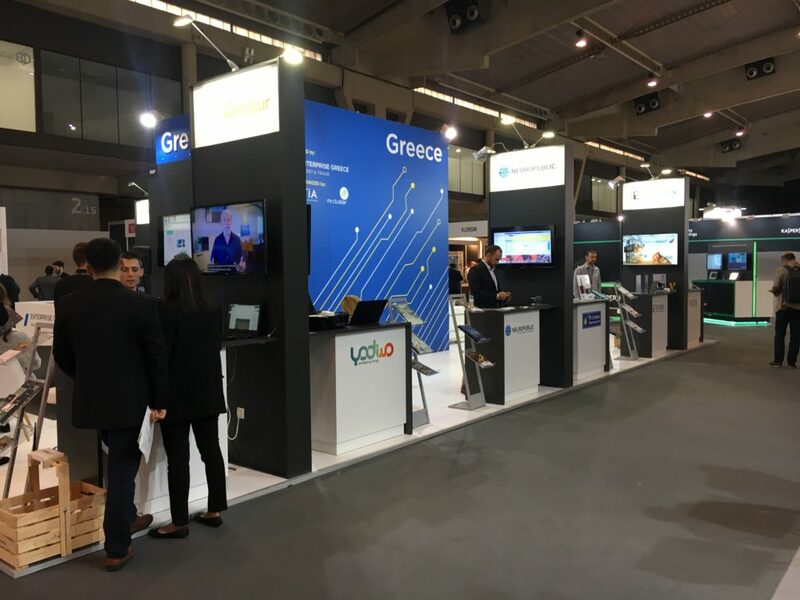 Greek entrepreneurs conducted more than 100 B2B meetings with other stakeholders and explored the possibilities of collaborating with major players in the IoT area with significant commercial results. 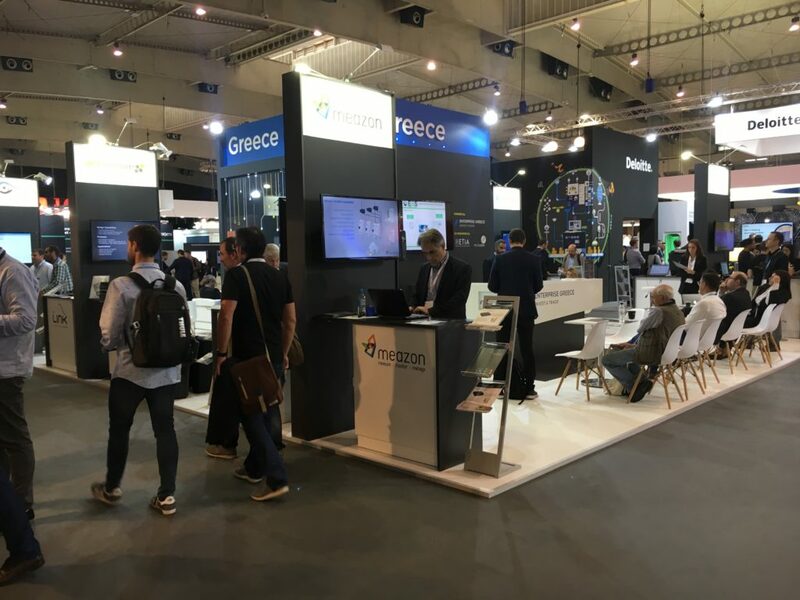 This year participation of Greek companies was the biggest one, highlighting the country’s dynamic in the development of innovative high-tech solutions for IoT applications.